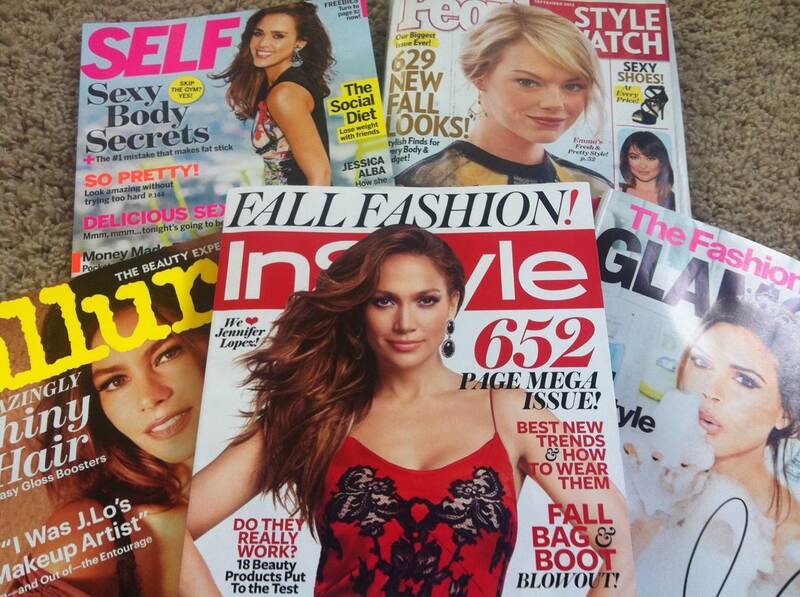 Blogs, magazines, Pinterest, websites, catalogs, social media...inspiration is everywhere lately! It's amazing how much sharing is going on, but at the same time, it can be really overwhelming! These are the magazines I received in just one week! Keeping up with everything is one thing but then trying to incorporate it into your life can seem impossible. Constantly pinning, dog-earing magazine pages, bookmarking websites...and then you walk into your closet and think "I have nothing to wear!!!" Happens to me all the time...or at least it used to! Here's a way to keep all your "inspirations" organized and at your fingertips! 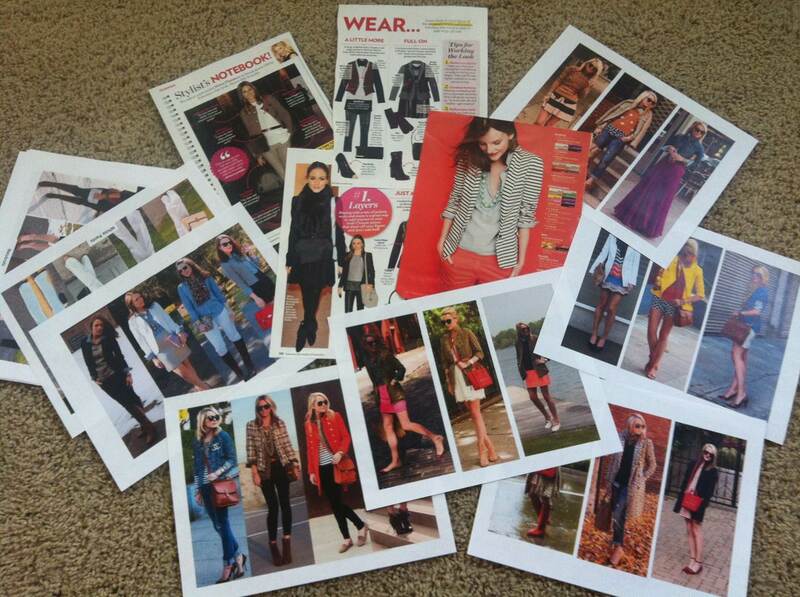 I've started collecting all my favorite outfits, Pinterest pins, magazine articles and organizing them into binders. 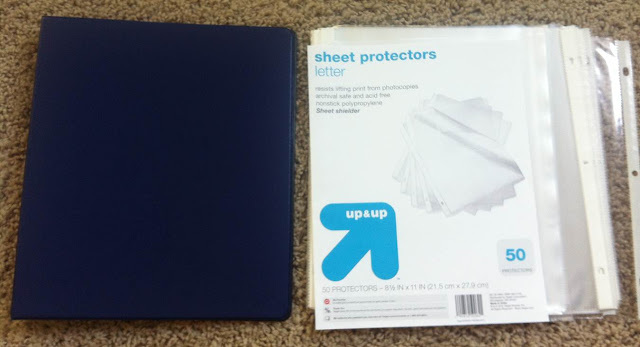 A fashion binder, a recipe binder, a home decor binder. That way, I don't have tons of old magazines laying around my house which I know drives my husband nuts. For my fashion binder, I start by collecting ideas and saving them onto my computer (printing them out weekly) or by cutting out magazine articles with a utility knife - - I like a clean edge :) Then I store the binder in my closet for outfit ideas when I have absolutely nothing to wear. My binder looks pretty dull on the outside but it's what I had available (free) in my house at the time. 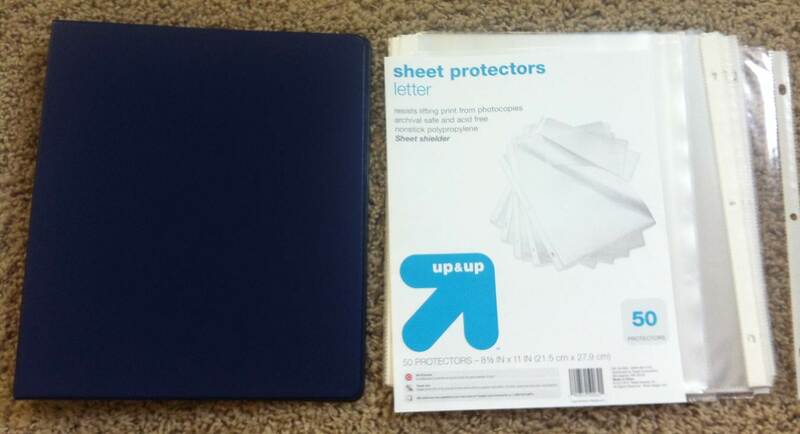 Using sheet protectors keeps everything clean and organized. 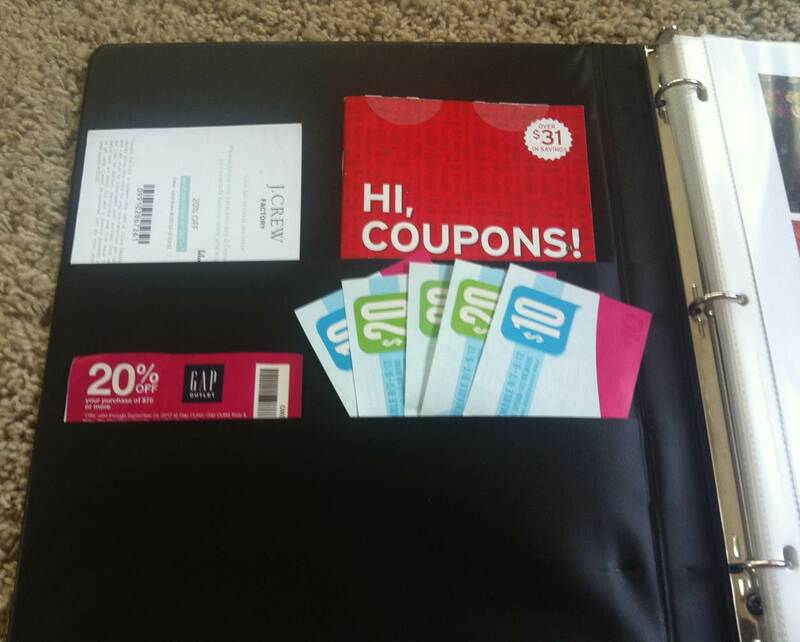 This is also a great place to keep coupons so you know when it's a good time to go shopping! Fashion + Organization = Heaven!